What is it about? You and some friends are trying to make your way from the junk filled star systems of the outer rim to the more technologically advanced core of the galaxy. 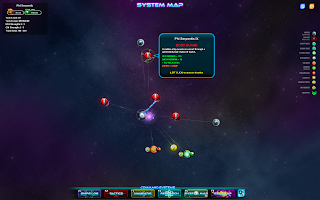 Standing in your way are a number of inhabited star systems, each with factions for you to ally with or fight against. Gameplay. The player has up to 4 ships, but may only control one at a time. The rest of the time the AI takes care of them. Flying your ship is easy, just apply thrust and control the direction with the mouse. Firing weapons is handled by clicking the mouse buttons. There are a large number of ships you can build for use in your little fleet. They range from tiny to huge, cargo ships to battleships and so on. 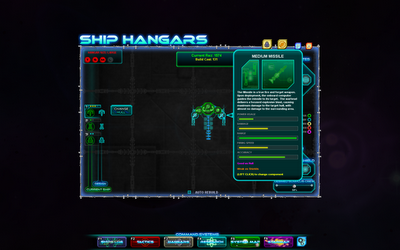 Each has a number of slots for you to customize using ship components. So you can really make the kind of fleet you want to. 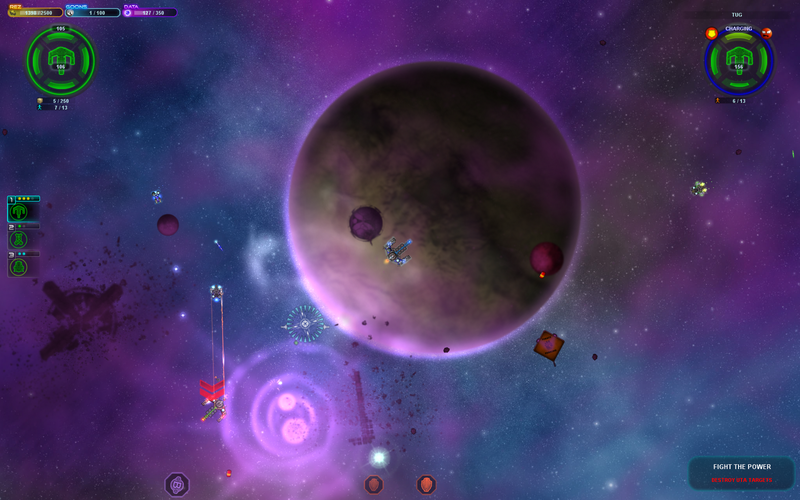 Some example components: Missiles, Mines, Scanners, Cloaking Devices, Tractor Beams, Turrets and many more. 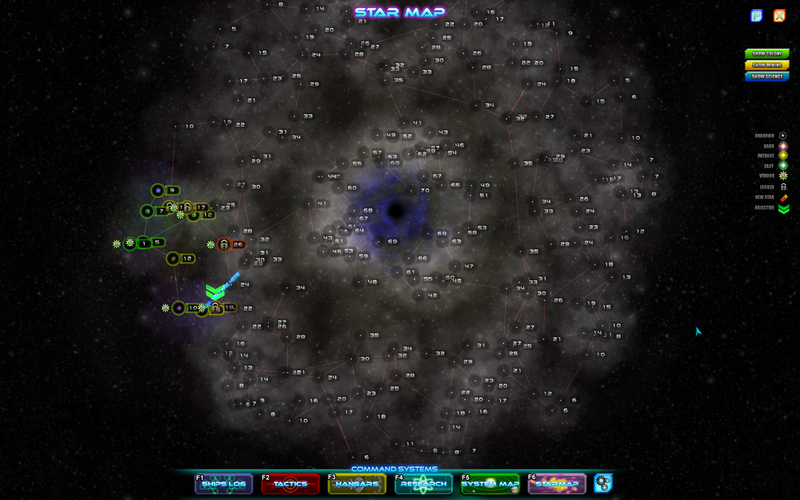 Each star system's faction are independent from other systems, even if they share the same name. This lets you support whichever side you want without long lasting repercussions. Once you get friendly with a faction, they'll let you purchase their goods, for example component blueprints. If a faction hostile to you has something you want, you can always try and take it by force. 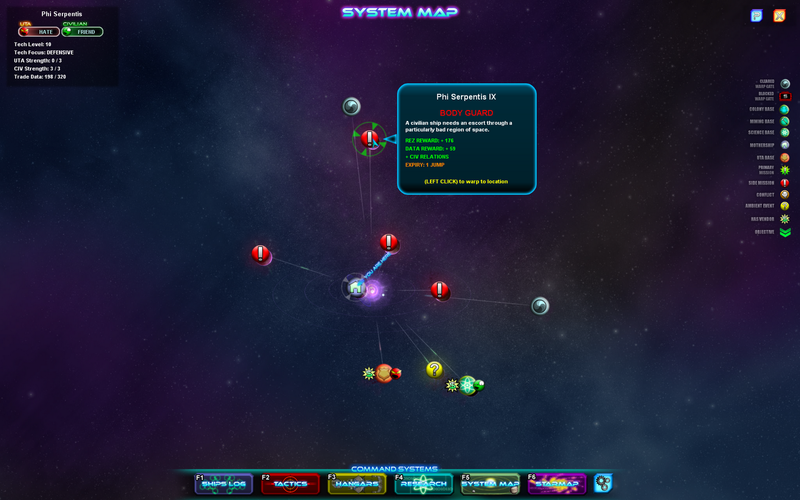 A star system will have a number of random missions/events for you to participate in. Some have you escorting a ship to a destination, others have you in a full on battle. You'll even find some mining missions and other less-combat focused activities. In addition to the slew of random time-limited events, there is a main storyline to follow. Final Thoughts. SPAZ has a lot of features that appeal to me: space combat, ship choices, a ton of customization options and a sense of humor. It is also well-priced at $20 ($15 at the time of this writing on Impulse) and provides a good deal of fun. Don't let the BETA tag fool you, this feels like a completed game. If there is one thing that I'd like to see, it is a more open world instead of the segmented 'instances' that the game uses now. Other than that, it's a game I'd recommend to those who like the genre. You'll certainly get your monies worth.